When you look at electric guitar pictures, it's difficult to imagine where rock and roll would be today without them. Once labeled a novelty item, one version or another of this guitar is used across a wide variety of musical genres. The following pages feature a variety of styles you may or may not be familiar with. Check them all out and decide if you have a favorite. The solid body guitar, is the original electric model. 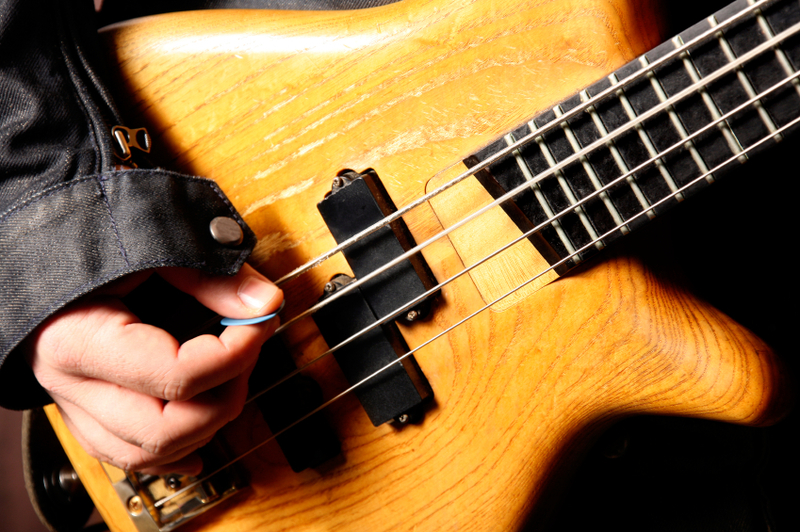 Since sound doesn't resonate through the wood, the vibrations of the steel strings are converted to electronic signals by a pickup, and fed to an amplifier to be heard. This type of electric guitar with its distinctive "f" holes produces vibrations in the strings as well as the body of the instrument. Like the solid body, the pickups convert both types of vibrations that are then made audible through the use of an amplifier. Sometimes featuring slightly convex archtops, semi-hollow body guitars produce a sound that is somewhere between that of solid and hollow body models. The sound these guitars produce is often favored by country and jazz musicians. An 'extreme' guitar designed to fit those with a taste for heavey metal playing, the body illustrates just how creative guitar manufacturers can be. There are hundreds of other exciting designs available. 12-strings produce a very rich sound because the B and E strings are tuned in unison while the remaining pairs are each tuned to the same note just an octave apart. These instruments are best suited for rhythm as opposed to lead guitar. These guitars are hybrids that can be played plugged or unplugged. This combination six and 12 string guitar offers the opportunity to play each neck separately. However, both necks can be activated at the same time, and the unused neck will act as a drone and match what is being played on the other neck. This model pairs the acoustic-electric option with a double-necked instrument in a shallower version of the typical Ovation guitar roundback body.